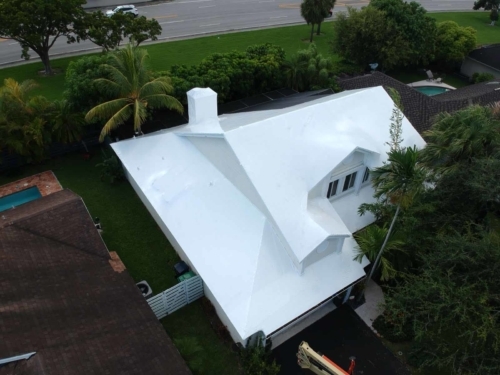 By encapsulating your entire roof with our shrink wrap technology, we provide the most effective temporary roofing solution in the world. The WrapRoof Product works great in a commercial environment. If you are looking for a solution to secure your roof, and prevent further damage, let's talk. 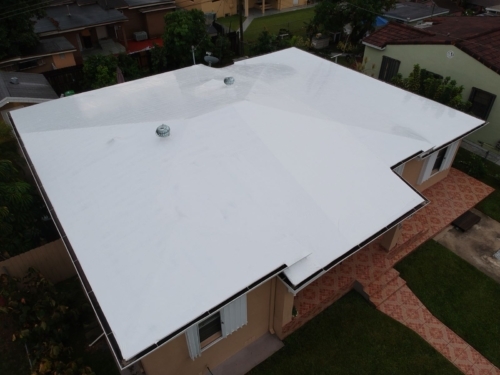 Our WrapRoof product is heatshrinked to float slightly above the roof surface, prevents mold, is vented, easily inspected, easily removed, and ensures that no further damage from future roof leaks will occur. Looking for the most trusted temporary roofing solution? 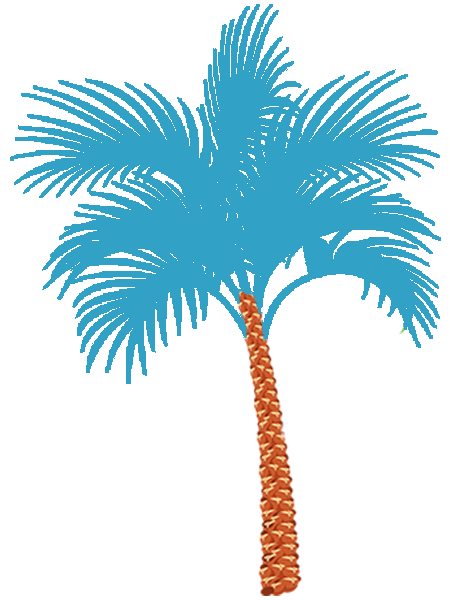 We work directly with business owners and organizations to get their roof secured. 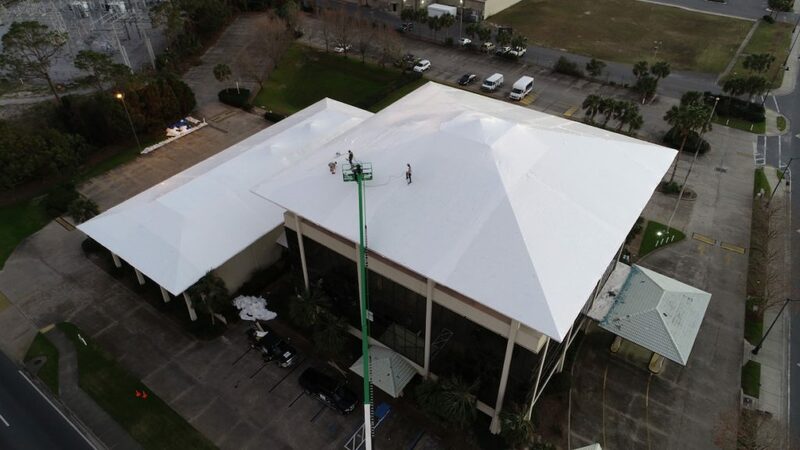 Schools, high rises, multi-unit complexes, flat roofs, and most other projects can quickly be secured with our WrapRoof system. We work quickly to secure your roof today and prevent your property from further damage with our 1 year leak free warranty. Secure your clients roof with an effective solution that will allow you the time you need to settle their claim. We have developed an easy post inspection process that keeps the remaining warranty in tact. 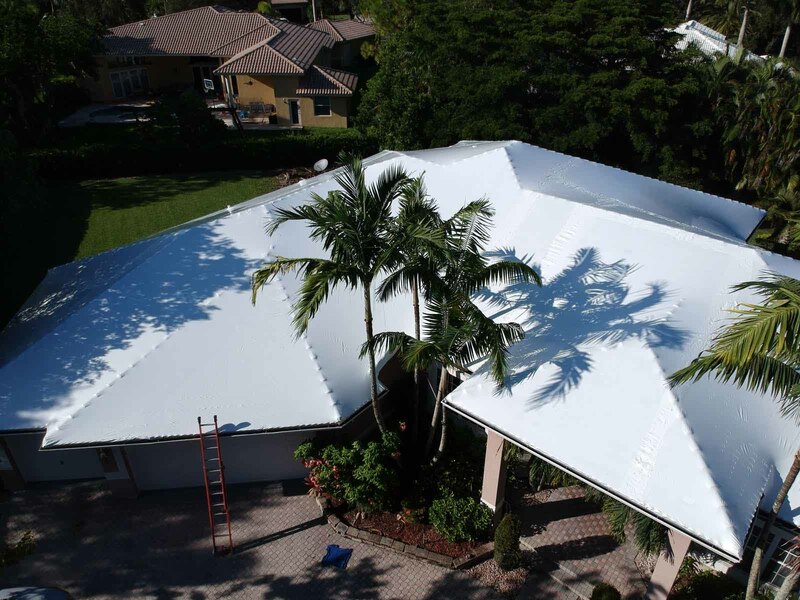 We are quick, reliable, consistent, organized and only focused on wrapping roofs. 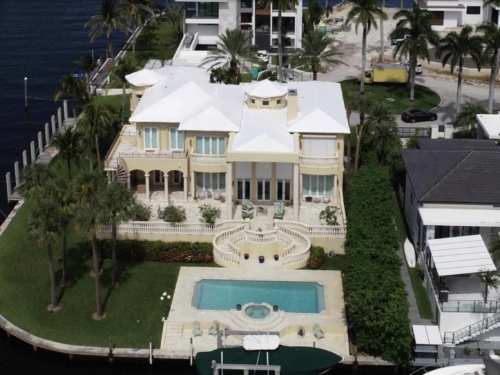 We document every step of our process and ensure that your clients home is secure. 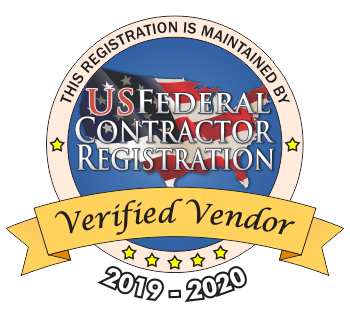 Contractors choose us because they are unable to get to all of the roofs they have on their schedule. Our product allows them to secure their clients home until they are able to install the permanent solution. 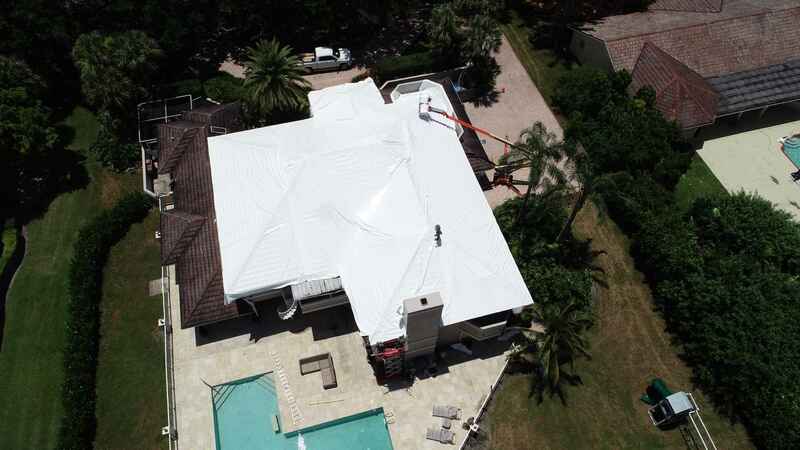 Adjusters choose us so they prevent having to mitigate two or three times when tarps fail. 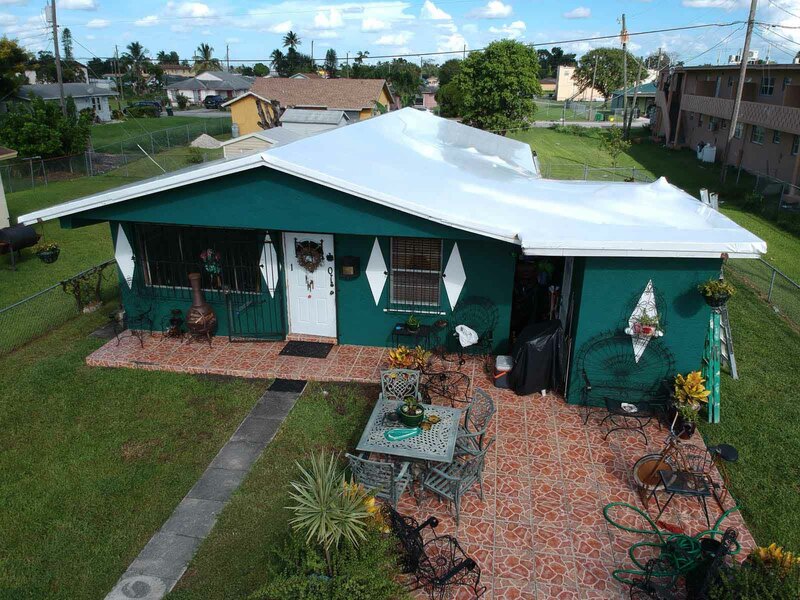 Attorneys choose us because we are quick, reliable, consistent, organized, and only focused on wrapping roofs. Insurance companies choose us if they want to limit their liability, put their customer back in their home and ensure the property is protected against further damage. We document the entire process and have an easy inspection process even after the WrapRoof is installed. You should choose us because blue tarps don't work, WrapRoof does. 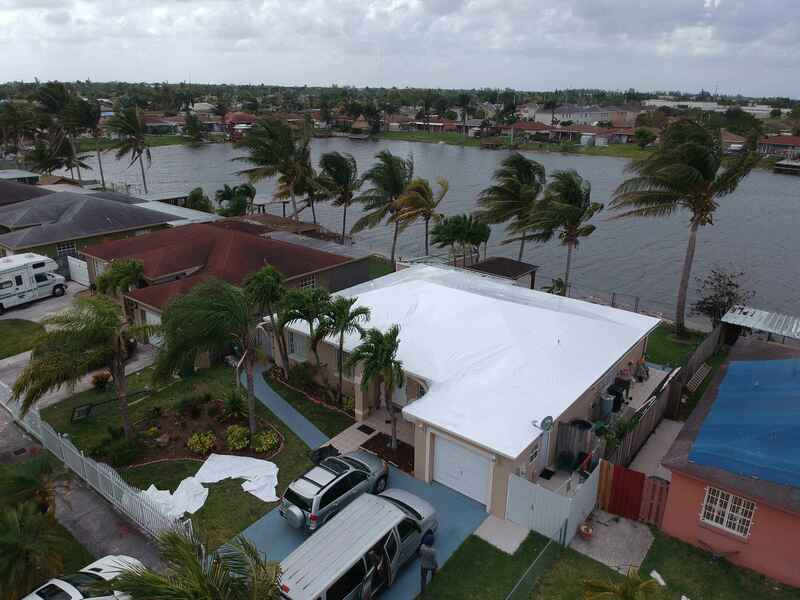 We use the heaviest duty polyethylene wrap available & guarantee your roof to be waterproof and able to sustain 55 mph winds for one full year. 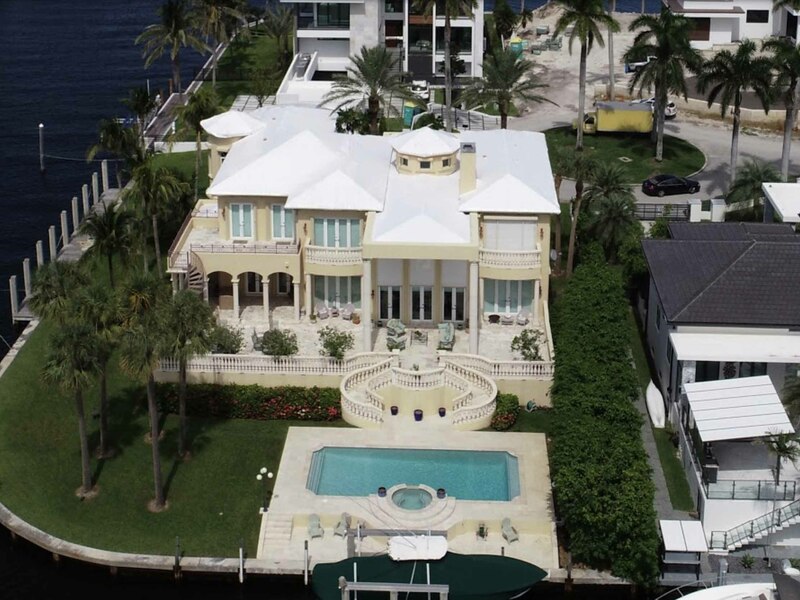 Our company's president is a fully licensed General Contractor native to Florida. Backed by dedicated teams specializing in quickly securing homes from further damage. 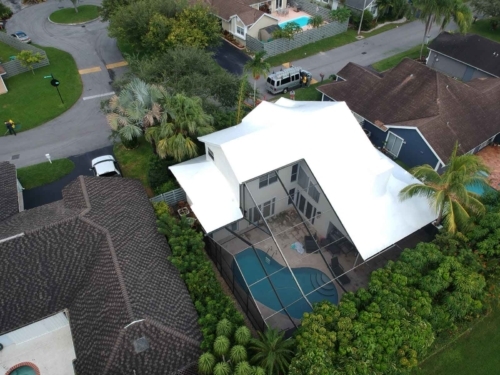 Steep pitched roofs to flat roofs, asphalt shingles, clay tile, concrete tile, metal roofing, slate, wood shakes, wood shingles, BUR, bitumen, PVC, TPO, EPDM... we wrap it.